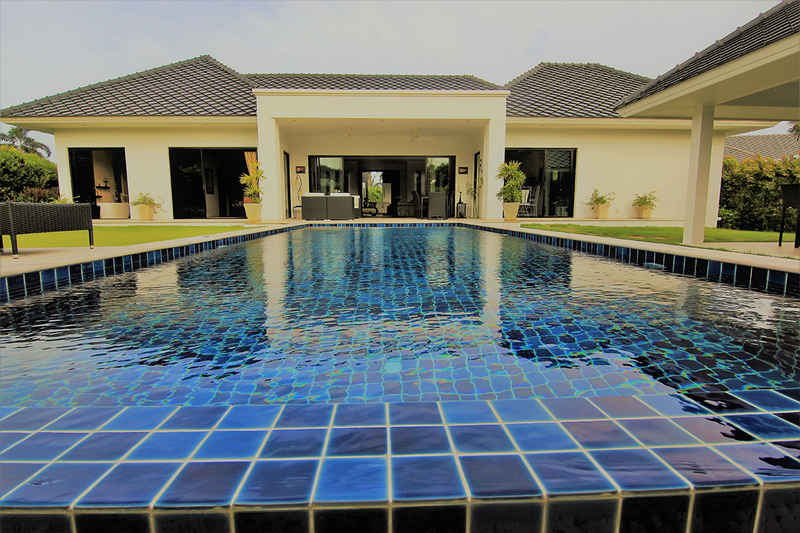 The house is in a beautifully designed estate call “Baan Ing Phu” which means ‘house facing the mountain’, nestled at the base of Black Mountain, Hua Hin Thailand, about 2.5 hr from Bangkok. 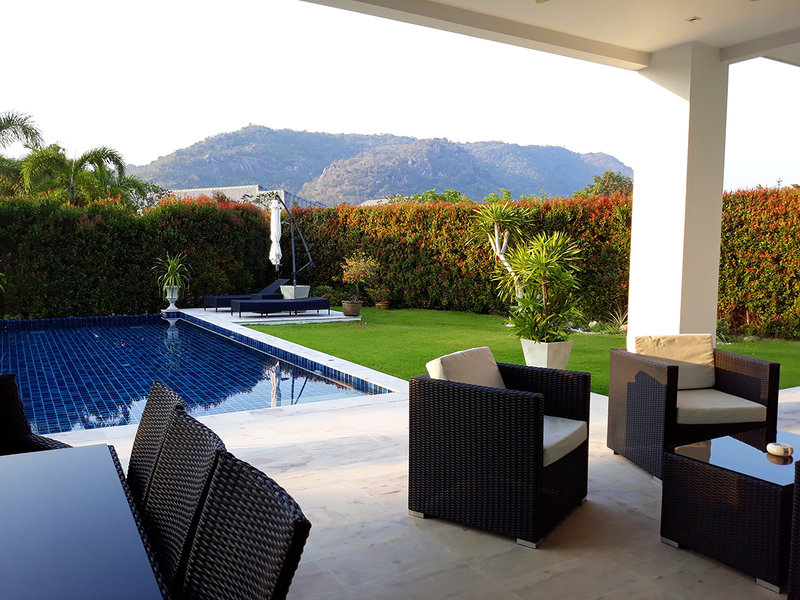 The prestigious Black Mountain Golf club is a stones’ throw away and the town of Hua-Hin with its beautiful beach, a pleasant 15 minute drive. It is perfect for those who like to enjoy city life but then can retreat to a quiet, idyllic surrounding. Living in Baan Ing Phu is not just about living in your own home but it is a life style. 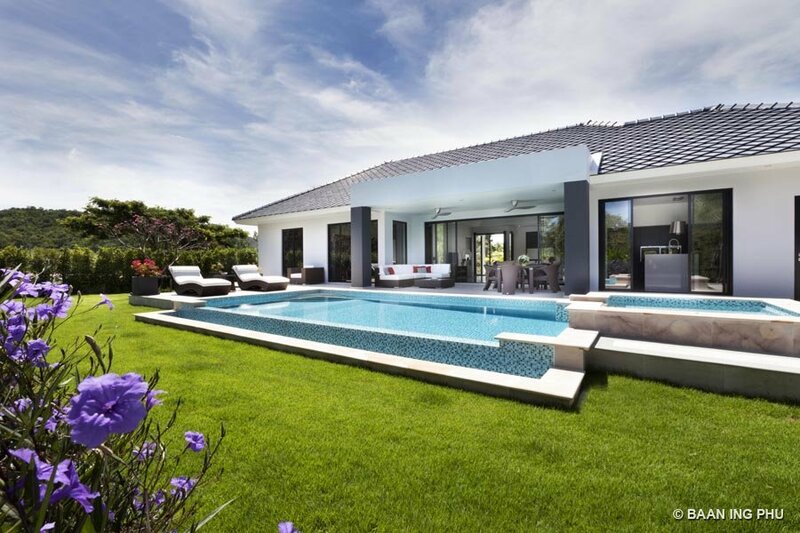 It has won some prestigious property awards thanks to it’s attention to detail, high service standards and innovative cutting-edge design. Besides the Bubble restaurant, the estate boasts a well- equipped gym, tennis court, Wellness spa and for those who are more adventurous there are mountain bikes so you can explore the local area. For the less energetic people, there are golf carts which can pick you up from your house and take you anywhere within the estate. 24 hour security ensures you have a peaceful night sleep! 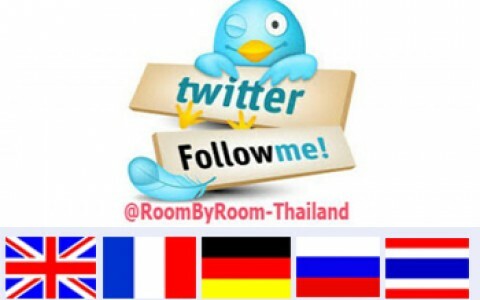 Hua- Hin and the surrounding areas. Hua-Hin is very special for Thai people as the late King and his surviving Queen spent the summer months in their residential palace on the outskirts of town. Besides Black Mountain golf club, there are 9 other top ranking golf resorts within a 25 Km radius. The bypass is only a 5 minute drive which takes you to the South or to Bangkok and allows easy access to popular attractions whether you want to visit temples, either of the two great water parks or wake boarding-park, shrines, elephant sanctuary, Hua-Hin vineyards or the floating market. Hua- Hin town itself has a lot to offer and has many restaurants, bars and markets and a fantastic new modern shopping centre-Bluport as well as another more local shopping centre- Market Village. This price part of furniture.